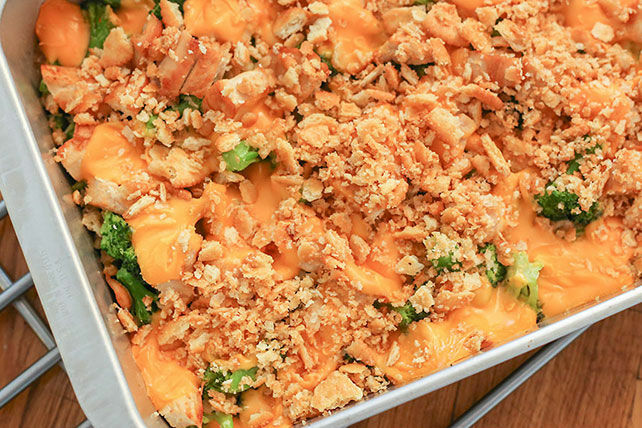 This cheesy main-dish casserole of broccoli florets, cooked chicken and buttery cracker crumbs is sure to be a hit with the whole family. Spread broccoli onto bottom of 2-L casserole dish sprayed with cooking spray; top with chicken and Velveeta. Combine cracker crumbs and margarine; sprinkle over casserole.